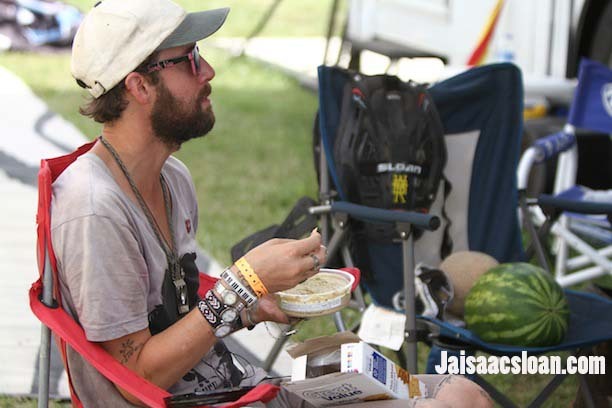 Micah 1000 getting his grub on before the day begins. 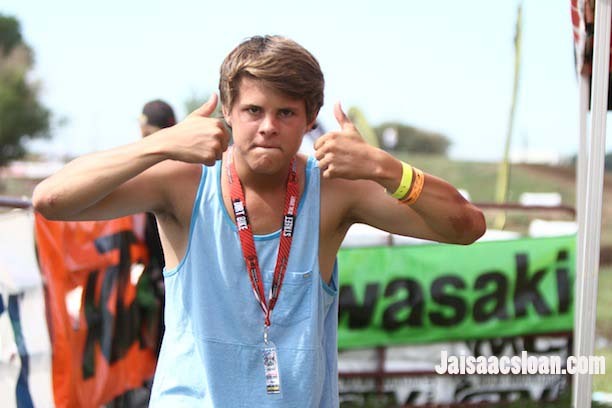 Rylas is pumped for racing to start. 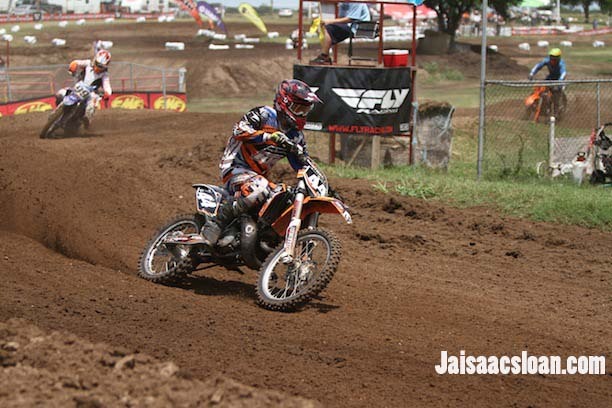 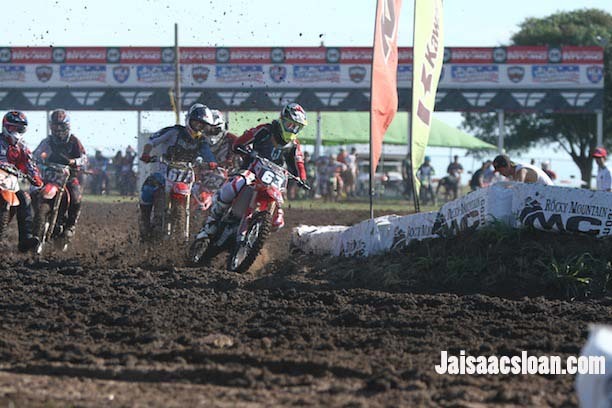 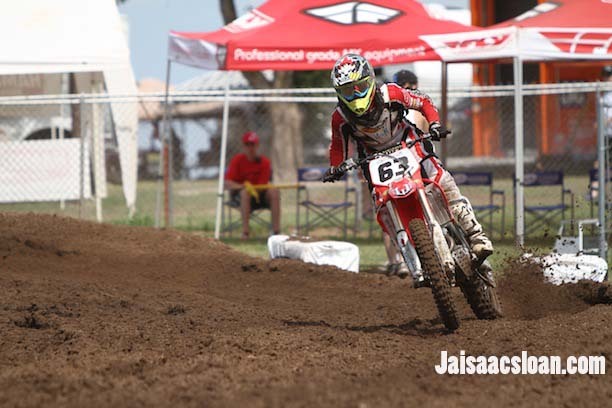 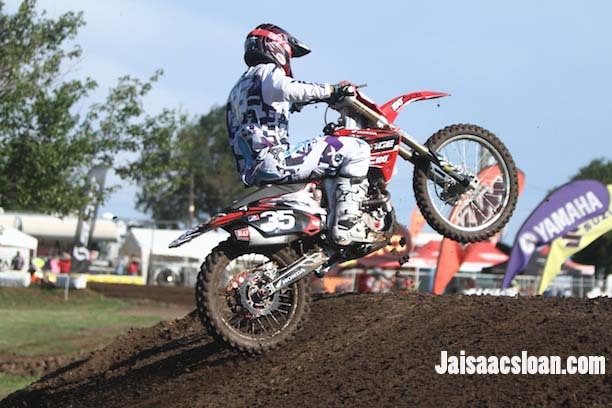 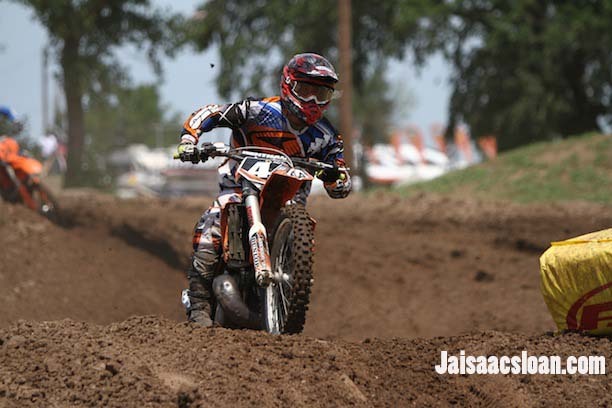 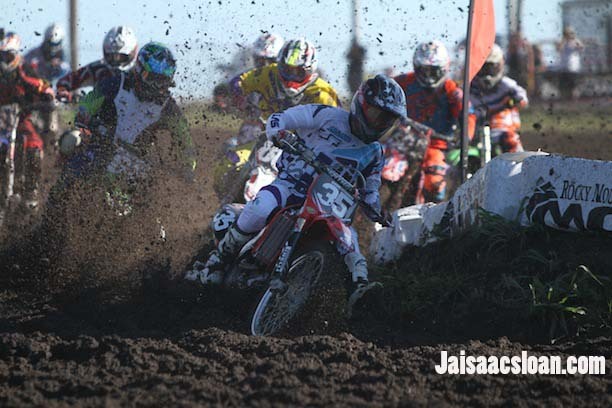 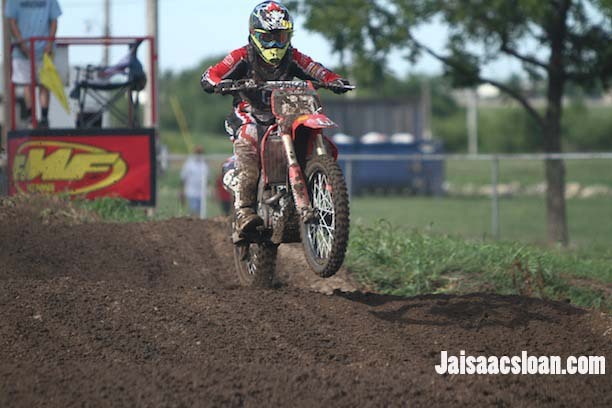 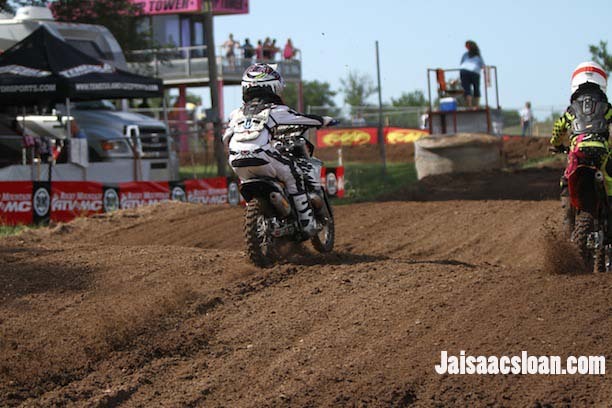 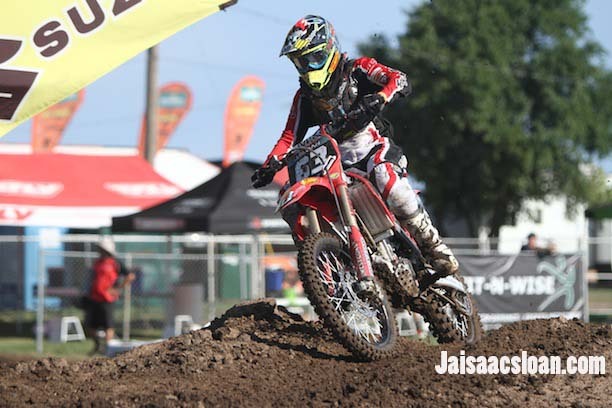 Jaisaac bustin out the hole shot in the first moto! 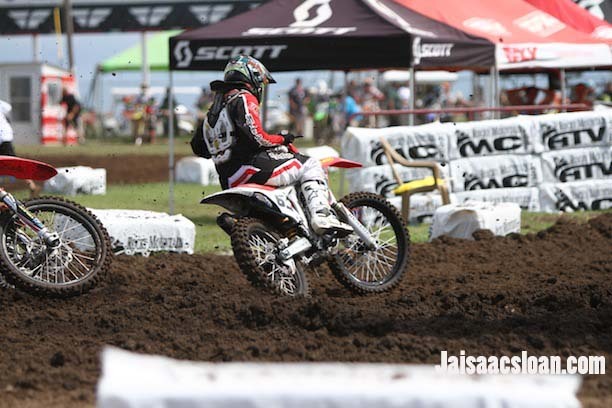 It was muddy out there but the ruts formed nicely after a few motos. 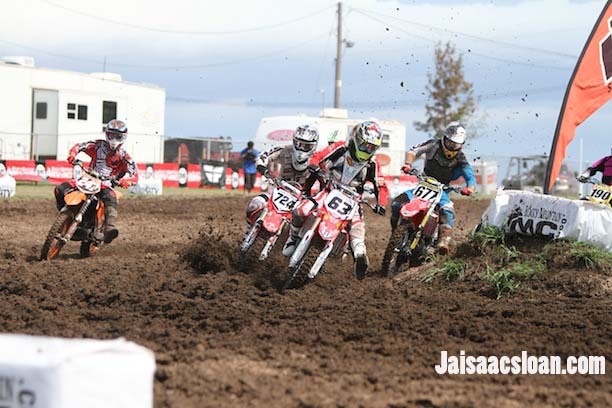 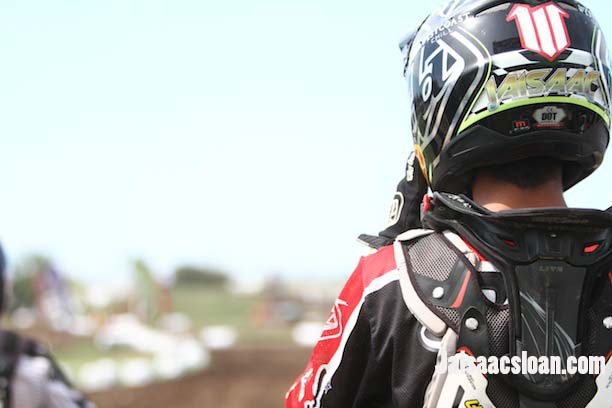 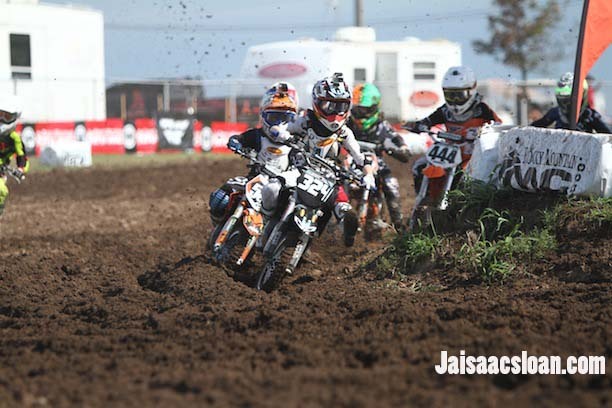 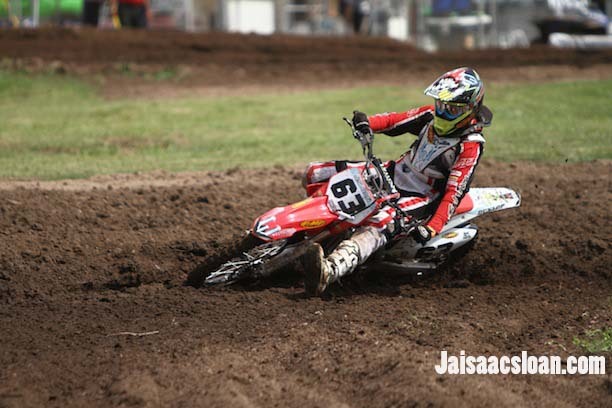 Austin Bruckshaw pullin a sick holeshot! 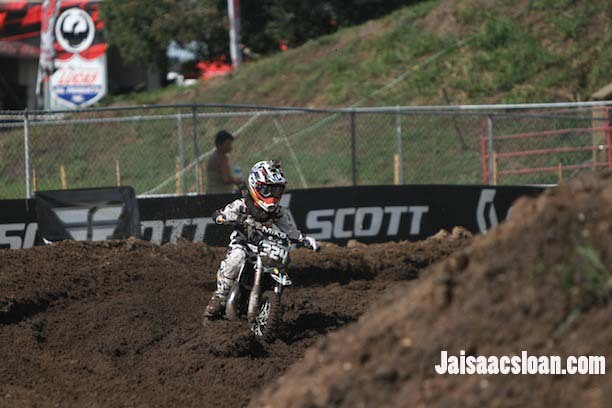 Austin looking steezy in that corner. 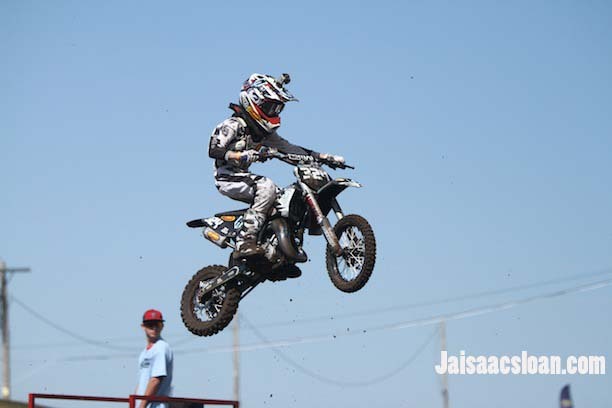 He was killin it utill a crash in the woops ended his race. 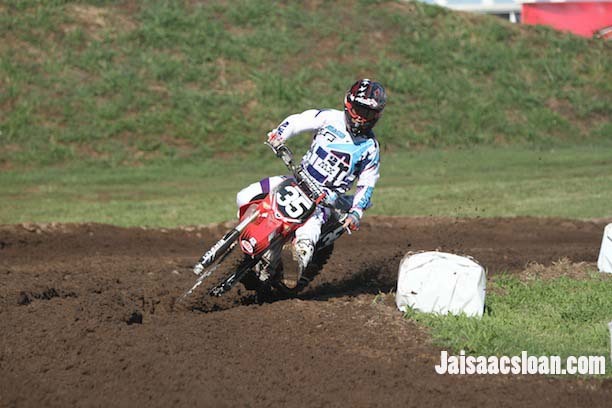 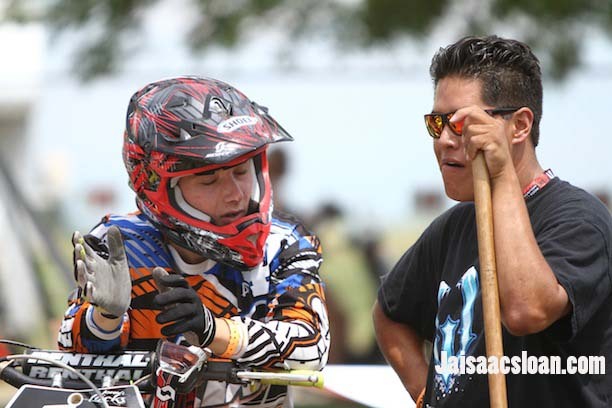 Jammin getting those ruts down! 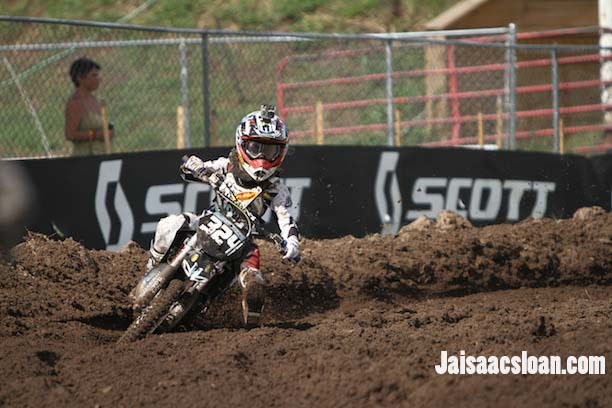 Jonah was looking fast today! 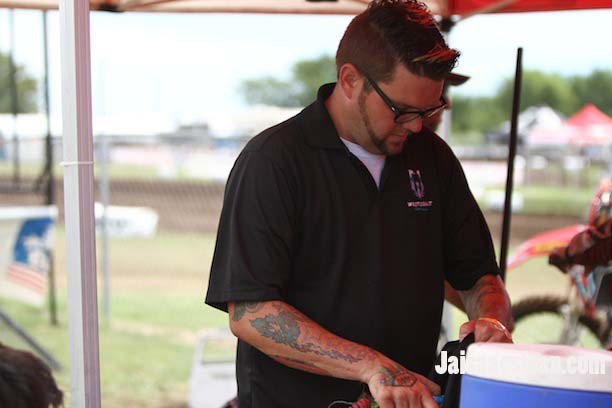 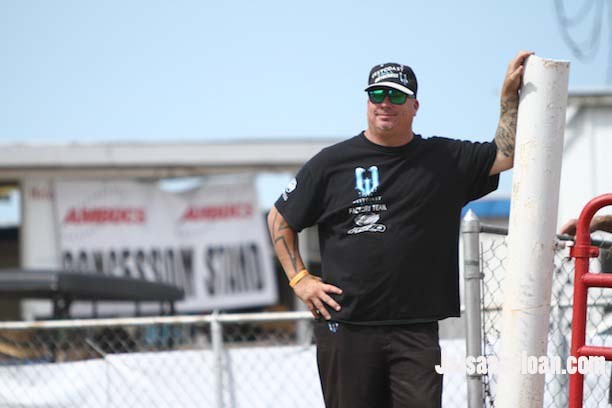 Jeff Nix working hard getting those bikes just rite. 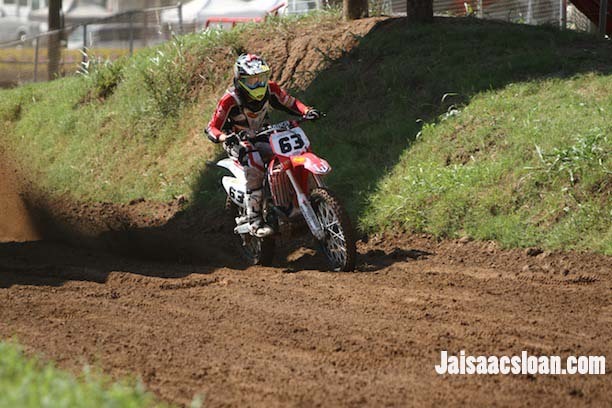 on the gate before the moto. 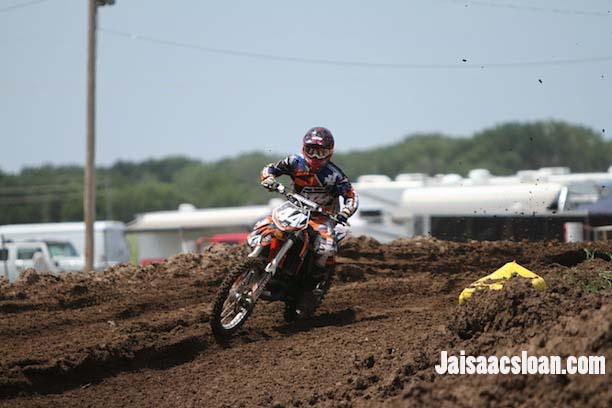 hanging it out after that first corner. 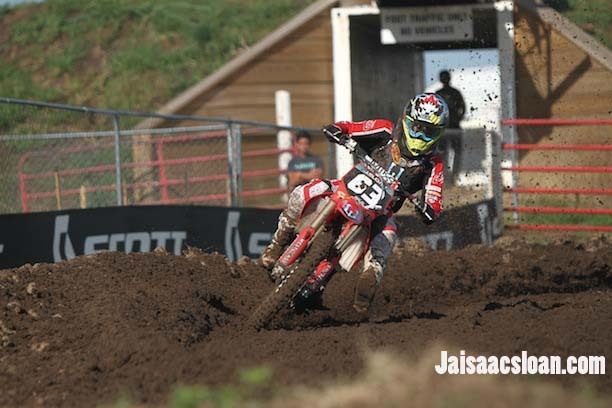 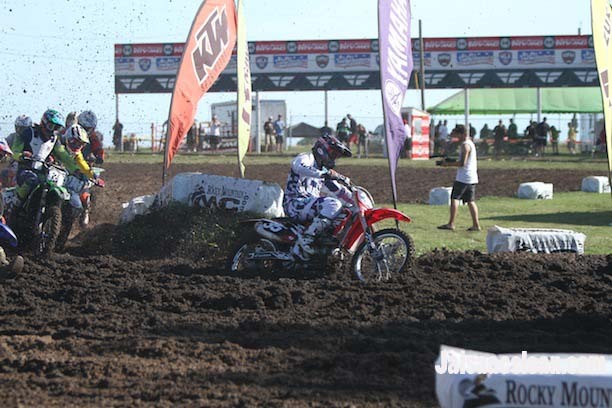 Getting low in those ruts.